Independence Blue Cross (Independence) associates gave back to their community in honor of Dr. Martin Luther King Jr. On the federal holiday, nearly 100 corporate associates and their family and friends volunteered their time for service projects throughout the Philadelphia community. 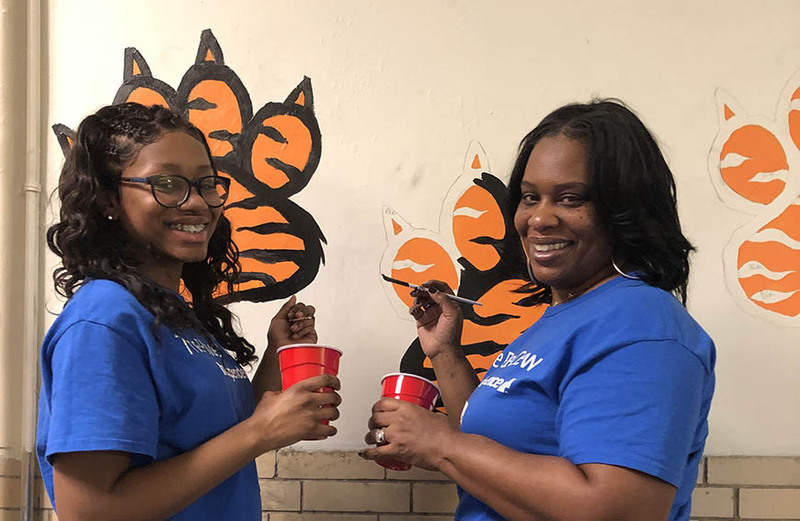 Through City Year Philadelphia, Independence “Blue Crew” volunteers painted 100 murals at Kensington High School as part of an project to create a more bright and welcoming space. Fifty volunteers participated at Girard College in various activities, including creating collaborative art pieces as part of the college’s MLK Day of Service Signature Project “Dreaming of a World Without Gun Violence.” Volunteers also assembled winter care kits for the homeless and packaged meals as part of the Rise Against Hunger international Hunger Relief Organization. The Independence Blue Crew volunteers have honored the legacy of Dr. King through service to our community for nearly 25 years, since the program’s inception. Each year, associates help to make the federal holiday into a day of active citizenship in our region.